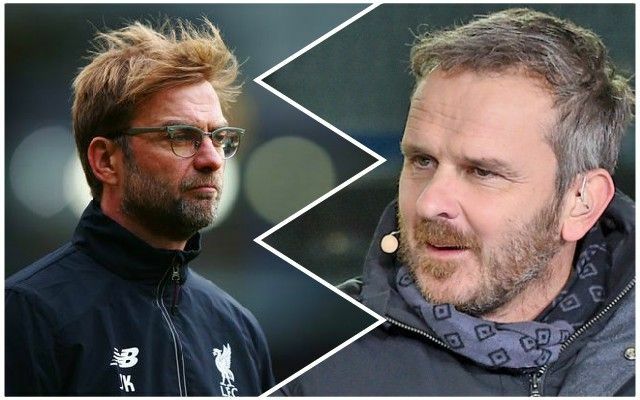 Ex-Liverpool midfielder Didi Hamann says the Reds are facing Bayern Munich at a bad time – and is predicting Jurgen Klopp’s side will crash out of the competition on Wednesday evening. After the first leg at Anfield ended goalless, the Reds only require a score-draw to get through to the quarter-finals thanks to the away-goals rule, but Hamann does not believe that will be achieved. He said, according to the Daily Star: “[Liverpool] will feel they are in a decent position after the 0-0 draw at home and with Virgil van Dijk returning – but I still prefer Bayern. “The potential loss to injury of Kingsley Coman is a blow for the German side but they are in superb form, unrecognisable from the first couple of months of the season. Hamann is right in as much as Bayern’s form has improved recently – they are now behind Borussia Dortmund in the Bundesliga title race only on goal difference having won each of their last four league games – but the Reds will cause them problems. With the likes of Real Madrid and PSG already out of the competition, the Champions League could really open up for the Reds, so getting through is important. A quarter-final draw against Porto or Ajax would make the Reds big favourites to reach the semi-finals, which would be a superb opportunity.